Compact and safe: when space becomes restricted, the compact LOCKED PRK clamping elements come into their own. As pneumatic rod clamping with low heights of 28 mm to 34 mm, they provide clamping forces of up to 5,000 N.
Clamping is carried out by a diaphragm spring-plate system and is released when compressed air is applied. 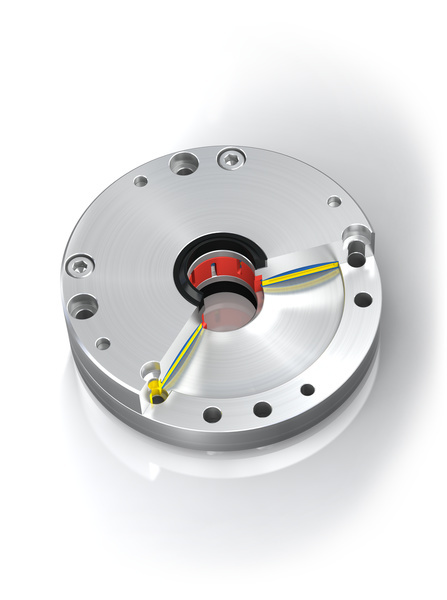 Clamping elements from the LOCKED PRK product family absorb the forces on rods with diameters between 20 mm and 40 mm both axially and rotationally. The function makes them suitable for use as static clamping without pressure, because the failure or drop of pneumatic pressure triggers immediate clamping. 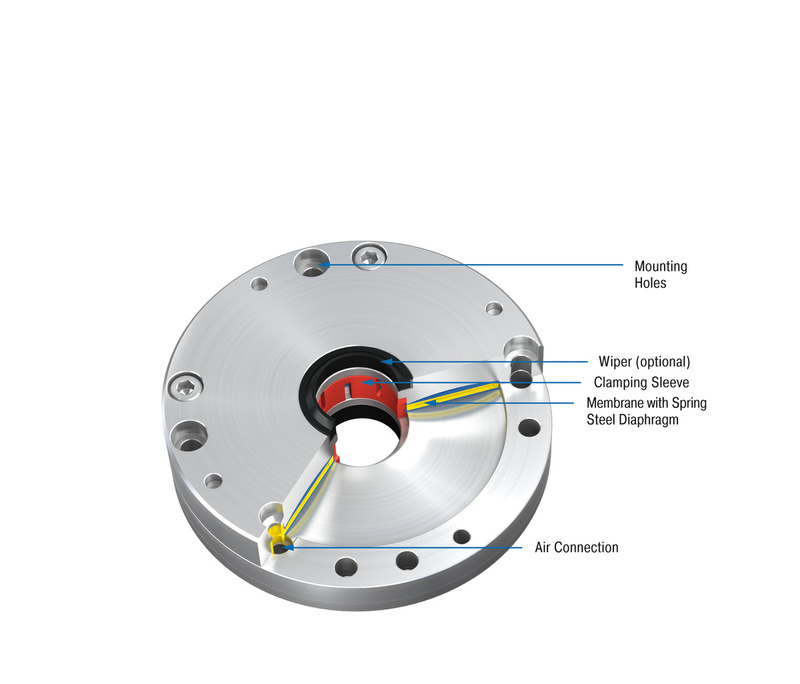 High clamping forces with low system costs compared with hydraulic and electric solutions make these clamping elements particularly interesting.